Likes & Raves: PEZ Dispensers, Disney World, PIE! 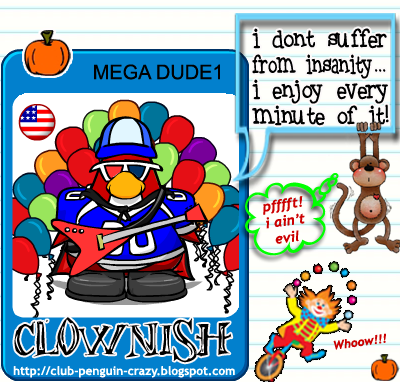 Fave Motto/Blast: I Don't Suffer from Insanity... I Enjoy Every Minute of It! i rock your socks! ~lady maryann! zrWow,That Is Coolio,1 THing Though,Can U Take My e-mail off?i put on it that i wanted it private,Thanks. (no im not really him)I WISH I WAS! oh gosh! It's Mega Dude! What r we gonna do!!!!??? aaaaah!!! jkjk that's how its always been though. 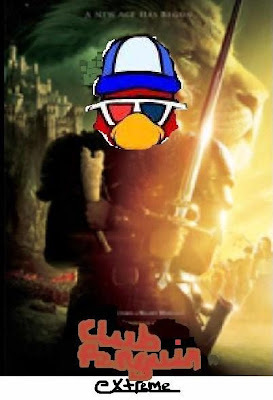 Do you want the orange puffle on Club Penguin? I know I do. Then go online to www.ntwj.blogspot.com. I'm trying to get the orange puffle! But I need your help. 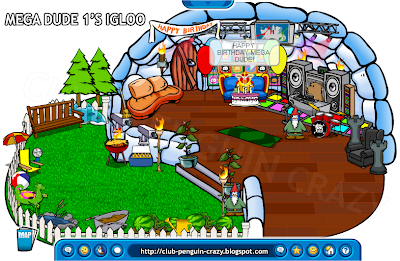 Just comment the post titled Orange Puffle, commenting your cp name, webkinz name, blogger name, etc. Then, when I have enough names, I will e-mail Club Penguin about the orange puffle, and list all the names I got. Maybe it will work, with them seeing all of our hard work. So go online today!